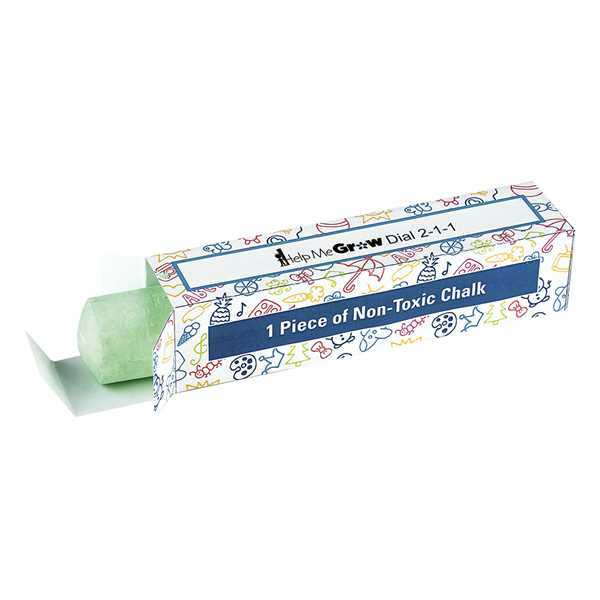 Single stick of chalk for outdoor games. Slightly tapered for easy grip. Ships in assorted blue, yellow, white colors. Chalk dimensions: 4" x 1". Size: 4 1/4 " x 1 " x 1 "
Imprint Size:3 1/2" x 1/2"